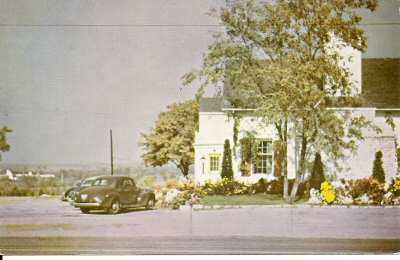 The Wishing Well Restaurant was an important part of life in the community from 1941 to 1963. 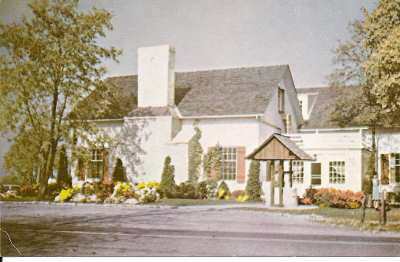 The restuarant was owned by Sherwood and Chester Snyder. The old high school building at 101 W. Franklin St. in Centerville had been vacant since 1924. 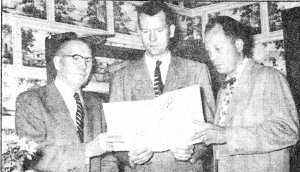 In 1939, Sherwood and Chester Snyder, brothers, purchased it for their new restaurant. The Snyders did the renovation themselves, both inside and out, taking two years to complete the job. They rented out an apartment above the restaurant. The Wishing Well Restaurant opened just as the United States entered World War II. Many foods were scarce and expensive, but the menu offered a chicken dinner with a potato, a vegetable of your choice, a fruit cup, soup, or juice, and a beverage for $1.25. Pie, cake, or ice cream was 15 cents extra. The restaurant was open for public dining only on Saturday evening and Sunday all day. It hosted many private parties; wedding receptions, proms, graduation parties, business luncheons and meetings. Donna Snyder, Sherwood's wife, booked the parties and served as hostess. Chester was the baker, Paul Morris was the chef, and Sherwood filled in where needed. Waitresses were hired for serving. The restaurant offered delicious food, a clean and pleasant atmosphere, and Sherwood's large rose garden east of the building. 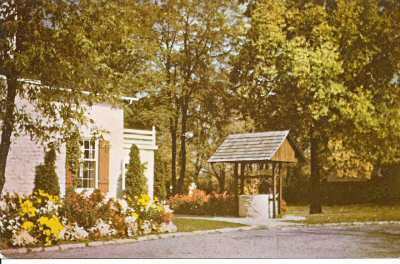 Diners often threw coins into the outdoor wishing well at the entrance to the building. All money was collected and sent to the Dayton Boys Club. Before the Great Depression, Sherwood operated the Dinner Bell Restaurant in downtown Dayton. He also ran a deli called Snyder's Community Kitchen. In 1917 he wrote a cookbook with recipes from old-fashioned farm cooking. He and Donna traveled the country selling the cookbook. They traveled by railroad. When they arrived in a community they set up a stove in the local school or hall and demonstrated the recipes from the book. The cookbook went into thirteen printings. The Snyder's son, Stuart, and his wife, Rita, joined the staff after the war. When Sherwood suffered a heart attack in 1954, they ran the restaurant for 4 years. They sold it to Noble Miller and his wife who operated it for five years. Since 1963 the building has housed the Peking Inn, Little Mamma's, Wing Wah and now a successful Mexican restaurant, Las Piramides. Information taken from "Now and Then" by Adele U. Koehnen, Dayton Daily News, August 10, 1994. Post Cards from the Wishing Well Restaurant.